It's a nice feeling when you have some time alone with a classic. Sitting on an empty track with a camera in my hand, this was a great afternoon. 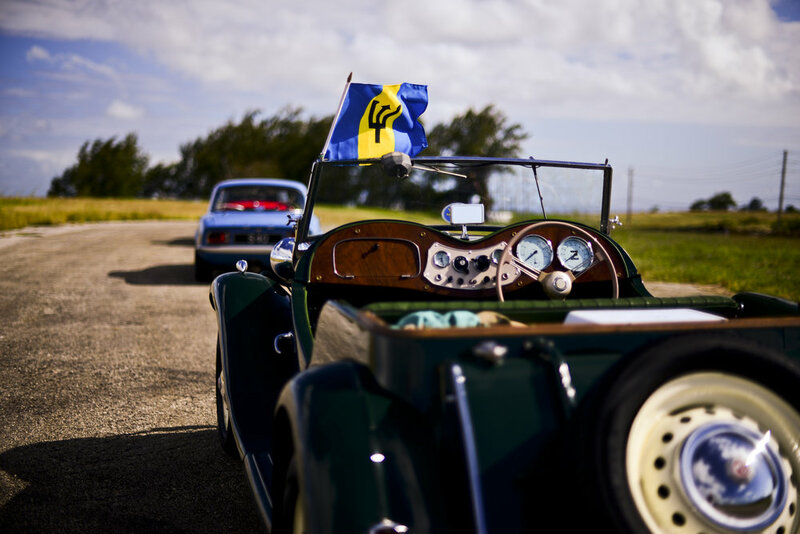 The weekend of the "Holetown Festival" in Barbados usually starts with a classic car parade, and after this parade, drivers usually leave the festival for a chance to chill and hangout with other owners. This MG was gorgeous. I think I am developing a bias for blue cars though but that's beside the point. 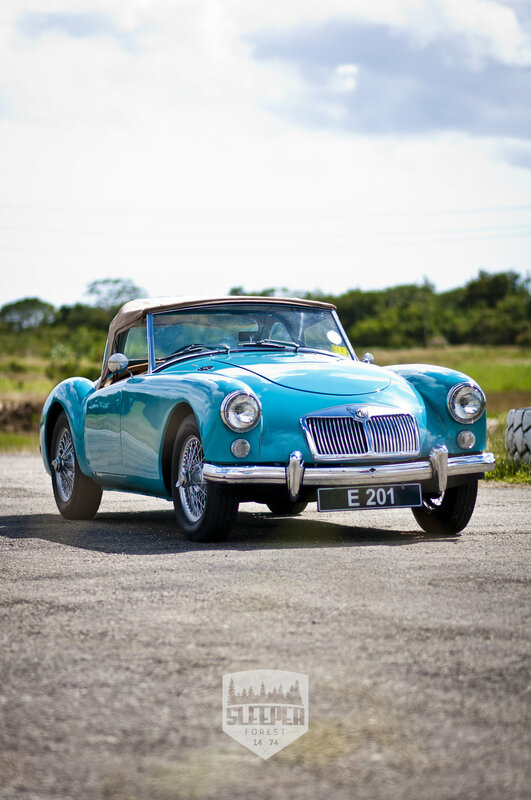 This MGA started its life off the production line in 1959, sporting a 1.6L single carbureted, single overhead cam engine. It makes about 78hp with a 4 speed transmission. This MG was special though. It was bought in the US, it was spec'd for the US market, left hand drive, and before it was blue, it was red, the upholstery was a different colour as well. The owner stumbled on it one afternoon coming out of a mall. He saw a car show happening in the car park next door and decided to take a look at it. 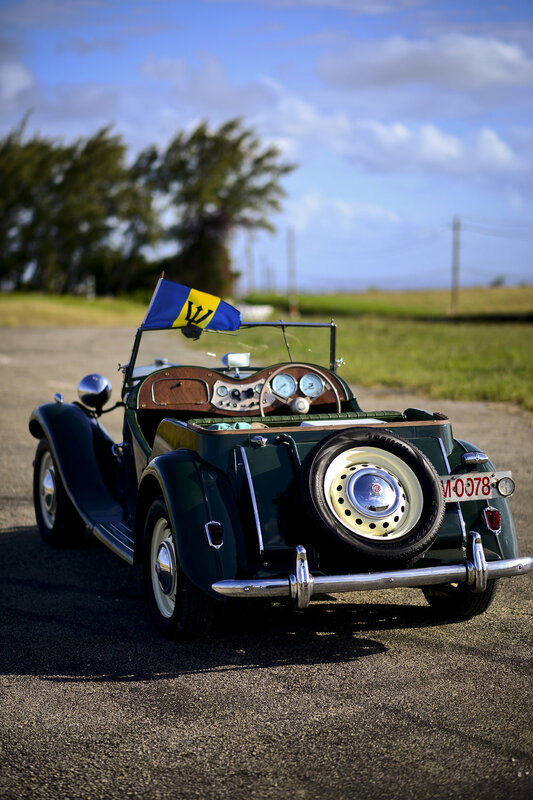 Owning this car was a childhood dream of his, he recounted the principal of his elementary school owning one, and before he would leave on afternoons he would give the children a show, a nice rev. This memory drove him to purchase the car. Restoration is always never an easy job. Like was mentioned before, the car was a different colour and the driver seat was on the opposite side plus the car was in rough condition. After importing the car, much work began, from the ground up, the chassis was sandblasted, primed and rust sealed. Then alterations were made to the dashboard, a new tortoiseshell coloured one was placed and the steering moved over to the right hand side. and the upholstery was changed to tan. Tan, might sound like a boring colour, but I must say, it really complimented the blue of the car. I bet you didn't notice the missing door handles. This car was fitted with a string on the inside of the door inorder to open the doors and windows were in the trunk, if you wanted to use them. Inside the car, you have your basic needs, a steering wheel, some dials and gauges, and a gearstick and pedals, I mean, what else would you want in a car ? Driving this car, is an experience in itself, not to be filled with distractions. It wasn't just meant to get from A to B, it was meant for the driver as well as the passenger to be engaged in the journey from A to B.
MG streamlined the body panels of the car, with the sweeping curves and bubble design of the 50's "Hi tech" design, proving to be a nice vintage astectihc as the car aged. Owning an MG for him, is like owning a childhood dream, and few can say the same. - Alex, until next time, keep motoring.